The 50lb. Mini Digital Scale is a portable, pocket sized digital scale that gives anglers an easy way to weight their catches. 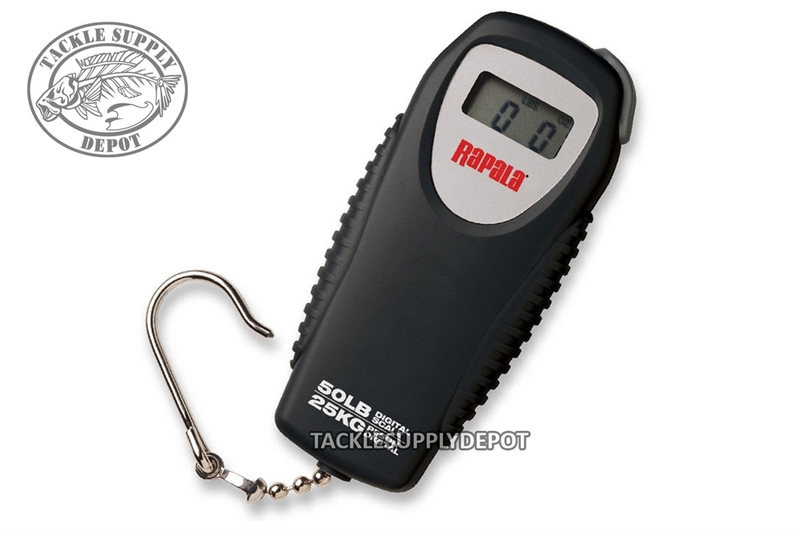 Whether fishing the shore line or out in the boat this compact scale is easy to have on hand for anyone. Powered by a 9V battery, this device is capable of 400 hours of run time, so it's always ready when you need it. The Rapala 50lb. Mini Digital Scale has a water resistant design.